being little • bristol uk fashion & lifestyle blog. 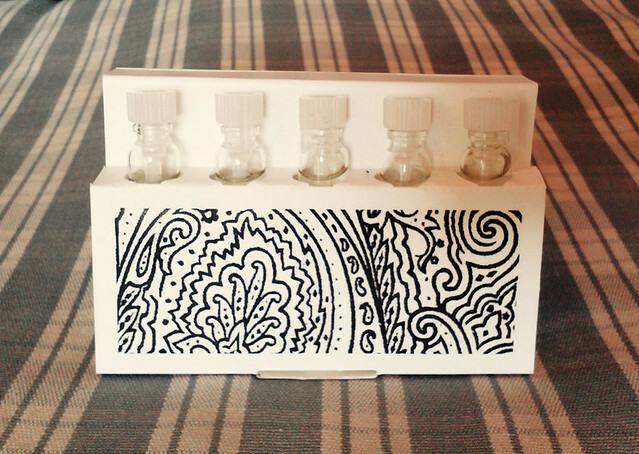 : glossybox. 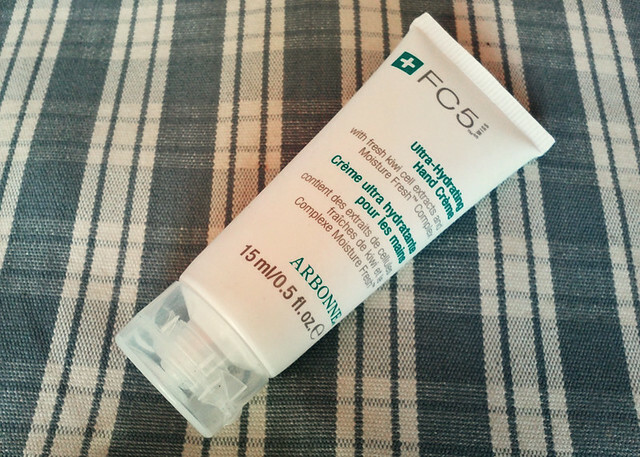 ARBONNE FC5 ULTRA HYDRATING HAND CRÈME: I love this hand cream. I always seem to have dry hands, so I love having lots of little tubes I can keep in my bags. The product is moisturising, not greasy. And, after a few hours of smelling my hands trying to work it out, I realised it smells like satsumas! YUM! 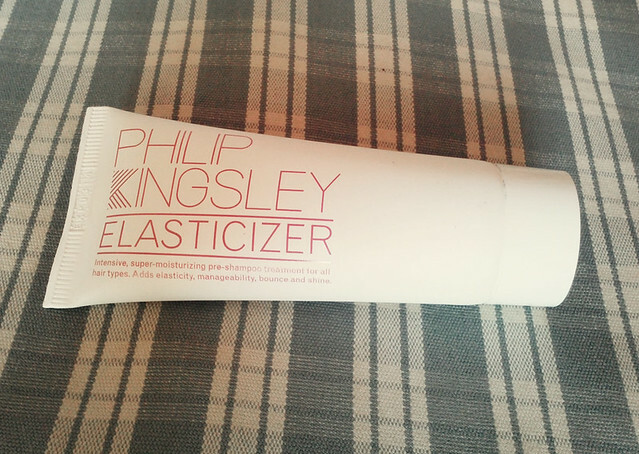 PHILIP KINGSLEY ELASTICIZER: Okay, to be honest, I can't be bothered to use this product. It seems like soooo much effort. You have to wet your hair, then section it and rub the product in to your hair, then leave it under a plastic cap for like 20 minutes. I know I'm laid up at the moment, but even I feel like that's a waste of time. I can't imagine that it would make that much difference to my hair..
ETRO FRAGRANCES: All of these smell yummy! Again, I like having little perfumes to chuck in my bag, and these will all be in there at some point! 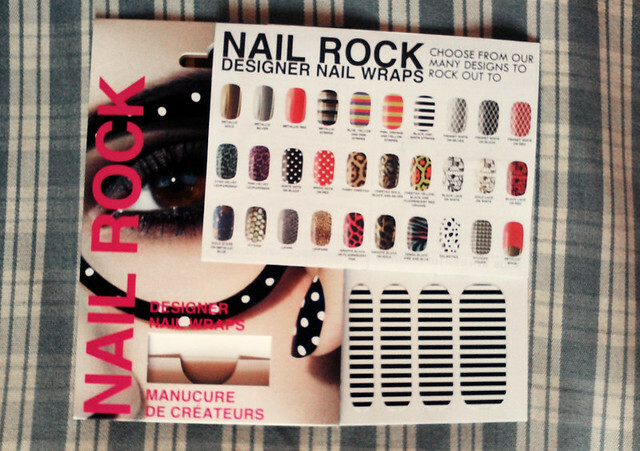 NAIL ROCK DESIGNER NAIL WRAPS: This was the first time I'd tried to apply nail wraps myself and I found them really fiddly. I think with practice you could probably get a good effect, but mine didn't sit flat to my nail, and started peeling up at the edges pretty quickly. I've had nail wraps applied professionally (Nailease ones) and they lasted a couple of hours at the most before they started coming off. I can understand that nail wraps are a quick and easy way to get crazy nails, but they're not for me. Have you tried a Glossybox yet? What did you think? I'm still undecided whether to sign up for glossybox or not, I probably won't as its a waste of money for me; as I'm not that into beauty stuff, but I do love the idea of having a little surprise every month.. ah so undecided! I still haven't tried a glossybox yet, quite tempted to though! I really want to try some nail wraps, but I'm so bad at doing anything fiddly, and probably wouldn't even be able to put them on without looking like a 5 year old did them, ha! 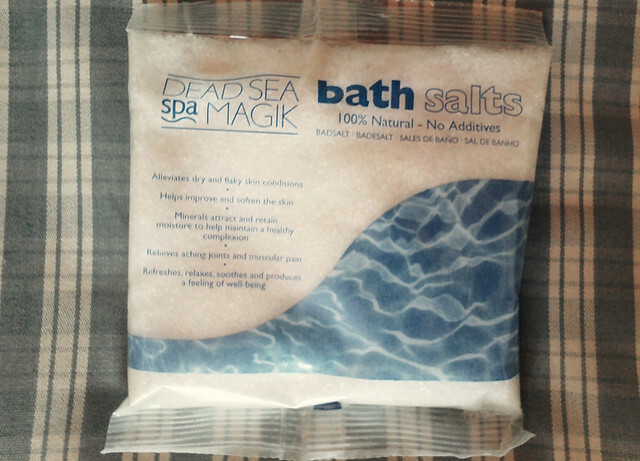 i also didnt notice a difference in my bath! not sure if your supposed to pour the whole thing in? hmm!